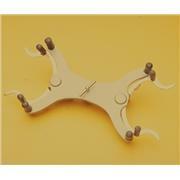 The clamp can be rotated 360 degrees and locked in place. Cast iron with nickel plated thumb screws. 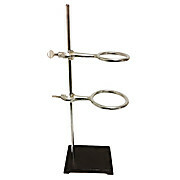 Burner tri-pod with cast iron ring and nickel plated threaded legs. Sold individually. Cast iron construction with nickel plated thumb screws. Will accept rods up to 5/8" in diameter. 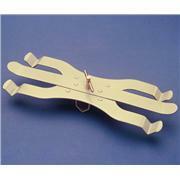 The arms of the clamp will rotate 360 degrees and can be locked in place. 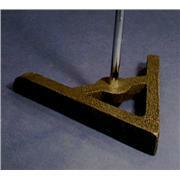 Cast iron construction with rubber coated jaws to prevent slipping. 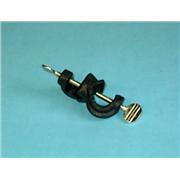 The clamps will accept a tube range of 3/8" to 1-3/8" in diameter. 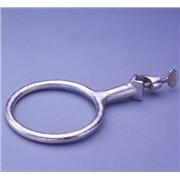 A cast aluminum clamp with cork lined prongs to hold a flask securely. The jaws open to a maximum of 3". 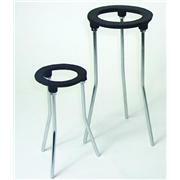 Overall length 9.5". A zinc plated, stamped steel clamp with steel thumb screws. Will accept rods up to 3/4" in diameter. The distance between the position of the burettes is 7.25". 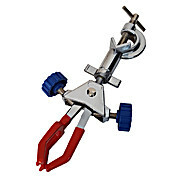 The clamp holds a burette securely while allowing full view of the burette graduations. 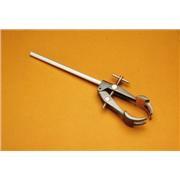 The clamp accepts rods from 1/4" to 1/2" in diameter. 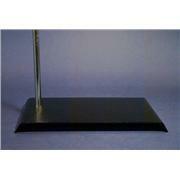 The clamp has an enamel finish with rubber coated grips to prevent slippage. 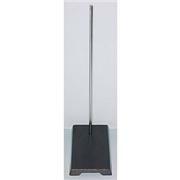 Cast Iron Support Stand, Legs 7.75" L, Nickel Plated Steel Rod 23"
Both sides of the clamp have screw type fitting that allow you to lock release or tighten as needed. 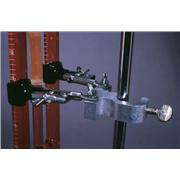 The boss head clamp can be used on a stand rod up to 1.9 cm in diameter. 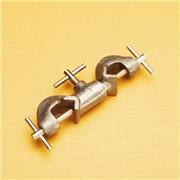 Cast aluminum clamp with nickel plated steel thumb-screw. 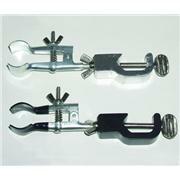 The clamps jaws have a range of 3/8" x 1-3/8". Nickel plated steel. 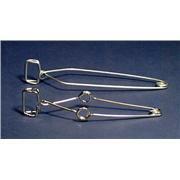 Overall length 5".